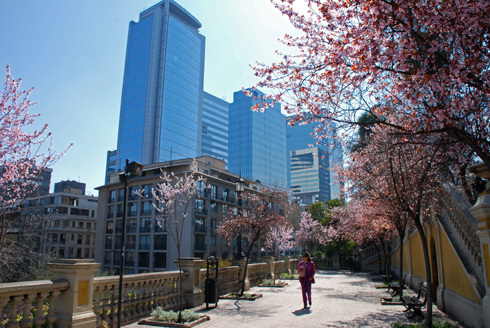 An overview of the most beautiful inner-city parks of Santiago. This central park was planned by the French landscape designer Jorge Dubois in 1901. 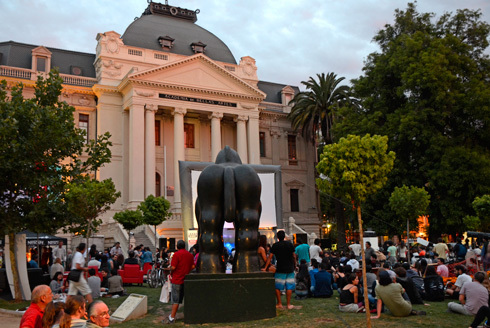 On weekends in the afternoon it especially draws crowds of young people in front of the Museo de Arte Contemporáneo, among them circus artists, Capoeira dancers and other performers. Here, Pedro de Valdivia founded the city Santiago in 1541. On top of the 69 m high green hill there are relics of a small Fort and a terrace overseeing the city. 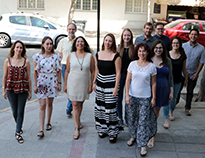 At the end of Calle Pío Nono, on the 288 m hill providing a great view of the city, there are the Zoo, restaurants, picnic places and the Botanical Garden. You can walk up this hill, which is more or less Santiago's "Central Park", or you can take the funicular railway. A cable car takes you from the top of the hill into the elegant residential quarter Pedro de Valdivia Norte. 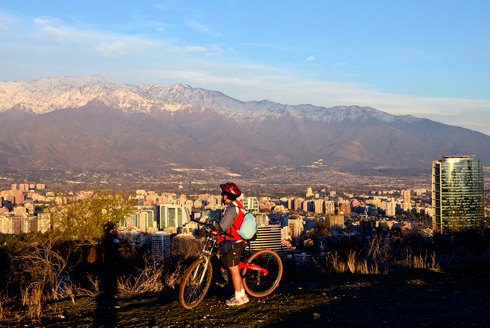 Don't miss the awesome view over this huge city onto the mountains, especially at sunset. You have the nicest view over the new residential districts with its high glass buildings from the Eastern part of the park, near by the cable car station Tupahue and from Jardín Japonés. Especially on the weekend people gather on this large hill to enjoy outdoor activities, by foot or by bike, and two nicely situated swimming pools - Tupahue and Antilén - attract water enthusiasts. Traditional city park with several museums, which offers a lot for children, a favorite especially on summer weekends. The museums Museo de Historia Natural (museum of natural history), which is located directly in the park and the Museo de la Memoria, which is dedicated to the victims of the military dictatorship from 1973-1990 are very recommendable. 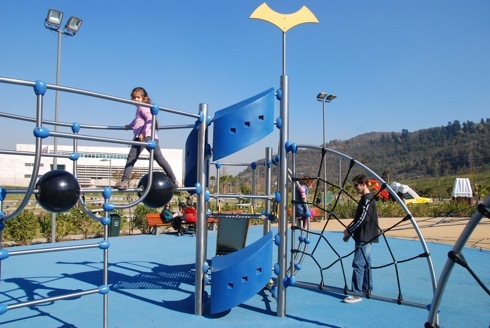 This relatively young park was built along the Mapocho River in the district of Vitacura. It is very popular with families and sports enthusiasts because of its numerous play grounds, long cycle paths and huge lawns.